The identification of worked Stone Age flints involves recognition of percussion marks around the edge of the tool. Generally, these are not found in flints in Swanbourne soils which hold flints that were dropped by the passage of ice along with boulder clay from melting glaciers during the Ice Age. Very few prehistoric and Roman finds have been made in the parish. A single flint tool is recorded as found by Ken Reading from Clack Brook (the stream that crosses Station Road) in Swanbourne, which was subsequently lost. However, Bucks County Council Museum records prehistoric finds which are Neolithic flint blade remnants, found near Swanbourne School in excavations for a water pipeline in the 1970’s. 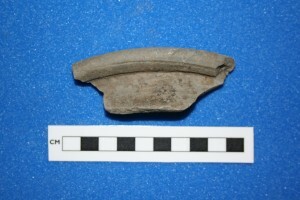 Some Roman pottery fragments were also found near the school and a mile from the village in a hole at Swanbourne’s Old Station. Some Saxon remains have also been recorded, such as a fragment of quern in St Swithun’s churchyard. Iron age coins have been found in the neighbouring village of Hoggeston. Hence there is evidence of people in this area several thousand years ago, and while there is little convincing evidence of a proper settlement (as such) at Swanbourne before Anglo-Saxon times, there remains a distinct possibility of earlier settlement. 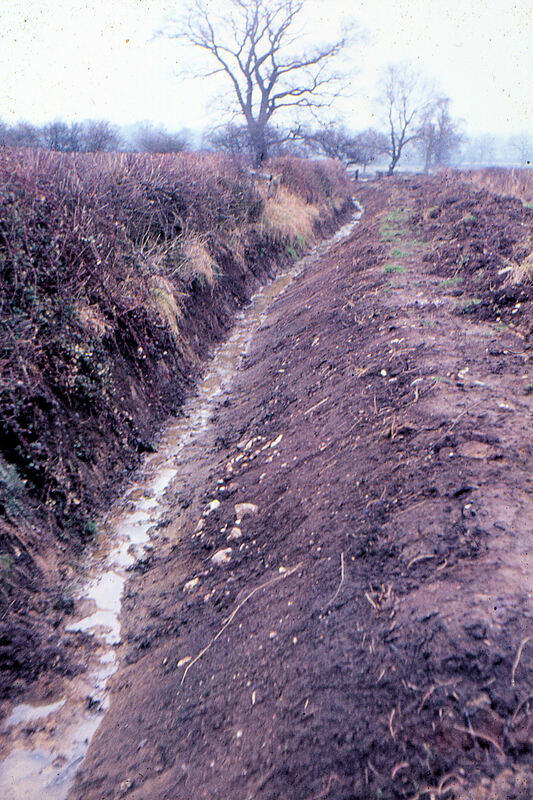 Ditch digging in the fields between Swanbourne and Hoggeston in the early 1990s resulted in Ken Reading finding several Roman pot fragment remains, never recorded by Bucks County Council. 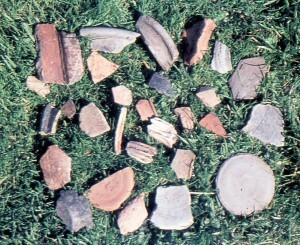 There were a good variety of Roman pottery fragments found. These fragments might be linked to burial gounds between the two villages or there may have been a villa near in Roman times. 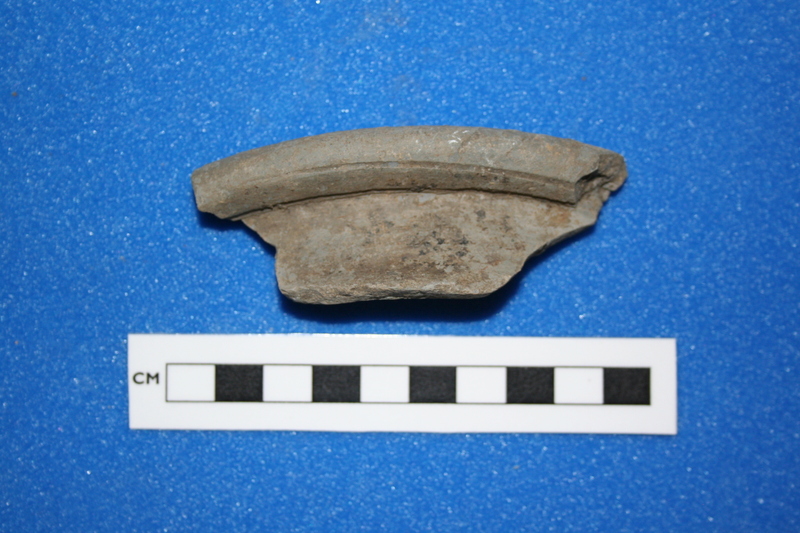 These are quite high quality pot fragments, definitely worked on a potters wheel, and probably originally imported from France. 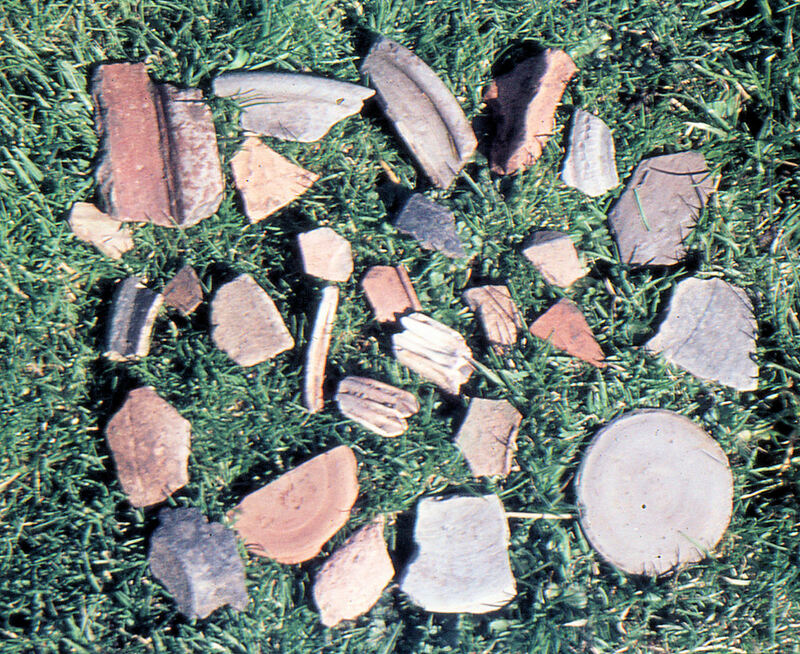 Fragments of Roman pottery found by the late Ken Reading in the early 1990’s between Swanbourne & Hoggeston. Also two animal teeth. 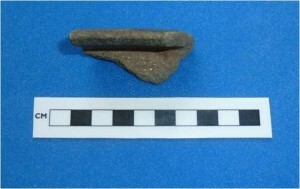 Two Anglo-Saxon pieces of pot were dug up in Victorian times and are lodged in Aylesbury Museum Resources Centre. 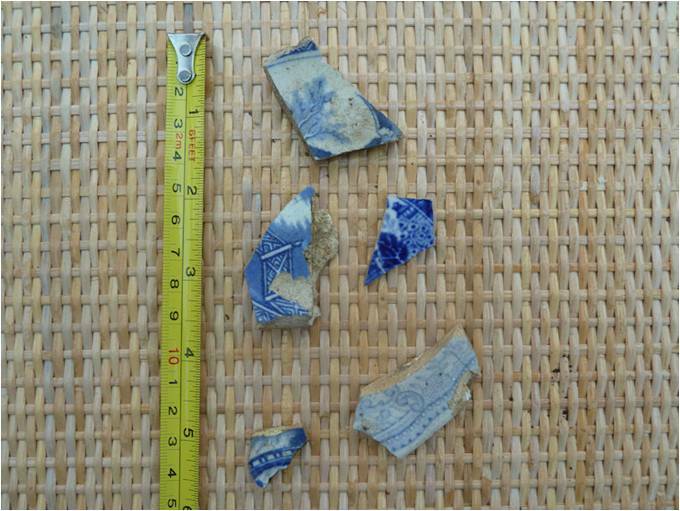 However, in 2010 Clive Rodgers found some pieces of Saxo-Norman transition and early Medieval pottery in a garden in Charlton Close. One pot fragment shows the pot with a lip that turns in, so a smaller lid probably went on the top, and is dated by Aylesbury Museum as probably between 1000-1100AD. The pot is thick and black with ground fossil shell fragments within it and is likely to be local in origin. 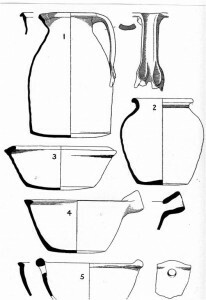 Identifications were confirmed by Brett Thorn, archaeologist at Bucks Museum Resources Centre. 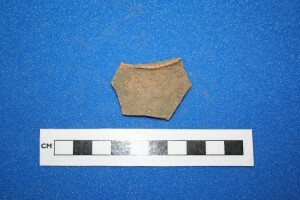 Late Saxon cooking pottery fragment found by Clive Rodgers in Charlton Close, 2010. Now lodged at the Museum Resources Centre, Halton. 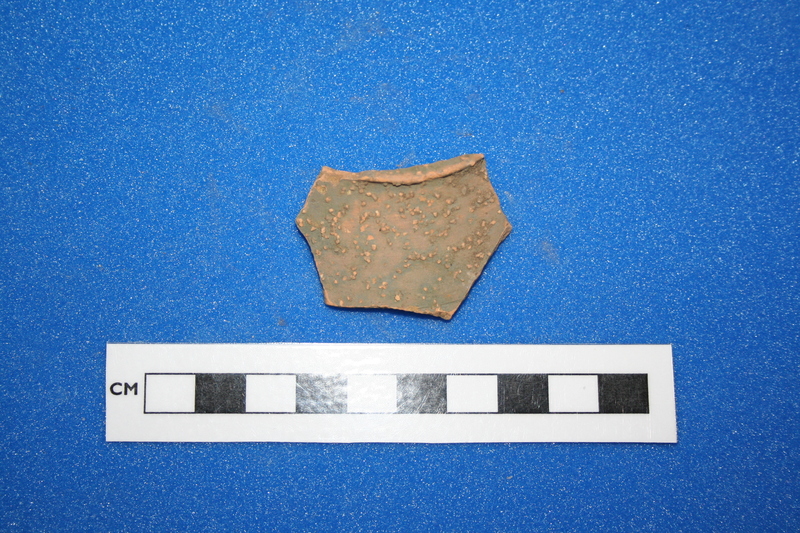 Saxon cooking pottery highlighting distinct inward pointing lip fragments found. Blue willow pottery was in common usage in the 18th Century. 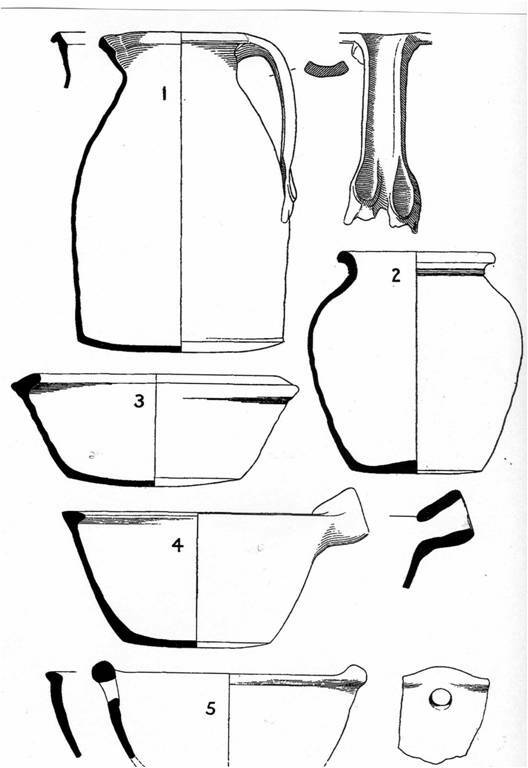 It was first manufactured at the Caughley Pottery Works by Thomas Turner. Blue willow pieces gradually grew in popularity to become the most common pieces in use in the home. 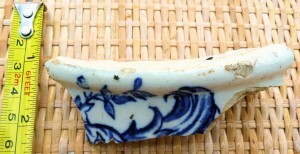 Fragments are commonly dug up in gardens around Swanbourne. 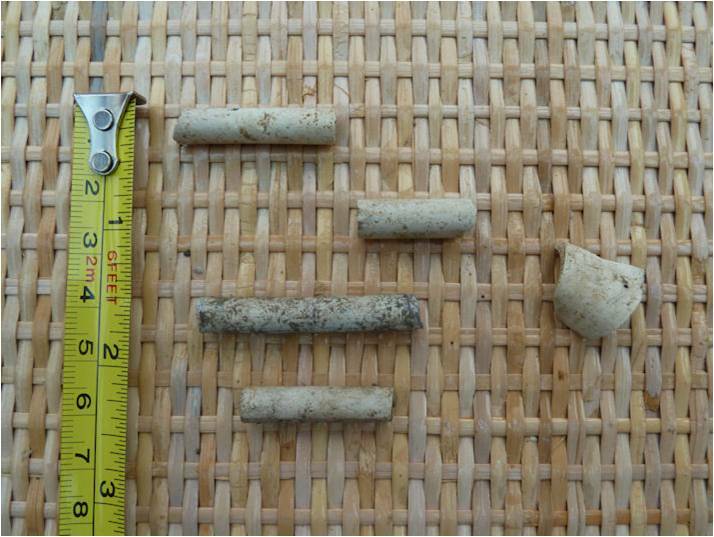 More recent artefacts commonly found in Swanbourne include fragments of whitish clay pipes (for smoking) which can be anything up to 300 years old as well as transfer pattern willow leaf pottery, less than about 150 years old. Brass rings and Victorian watch fragments as well as a Victorian brass button about 100 years old (belonging to an employee of Great Western Railways) have also been found in the Smithfield End part of the village. Early Willow Leaf pottery hand painted. Found at 4 Station Road. Probably early 17th Century. 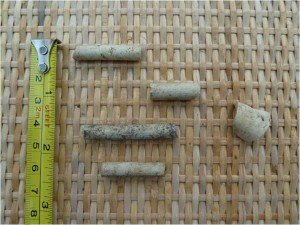 ABOVE:- Clay pipe fragments from Swanbourne; up to 300 years old. Willow leaf (transfer pattern type) pottery fragments dug up in Swanbourne; approx. 150 years old. Great Western employee brass button dug up at the edge of Station Road 100-50 years old.